Home Schools, Sports PIC – Reach for the top! PIC – Reach for the top! 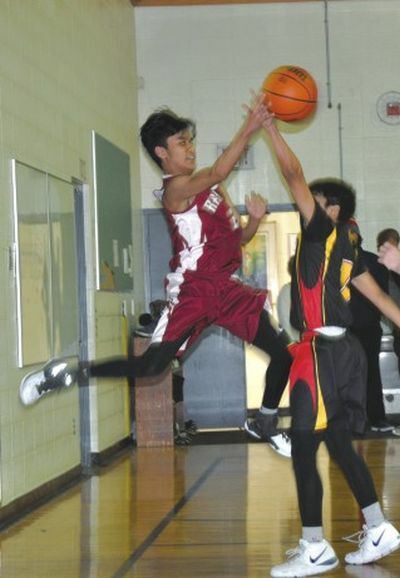 Prairie River’s Mondi Lascuna leaps for the basketball against Slave Lake St. Francis Falcon Jasper Cabel during action at PRJH Jan. 19. The Falcons won the battle of the last two undefeated teams in the Smoky River Junior High School Basketball League 68-57.